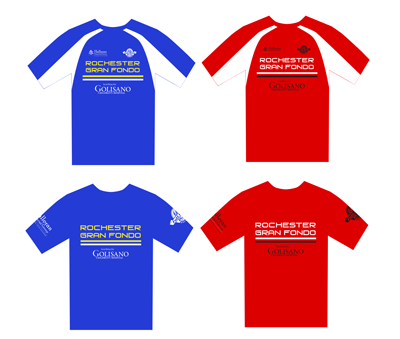 Riders doing the 100, 50 and 30 mile routes will receive a custom-designed jersey! The design is shown at the right. Jerseys are available in men’s and women’s sizes. Men’s jerseys are a slightly-relaxed fit and women’s jerseys are women’s cut. Sizing to correctly order the custom Jersey or Tech Tshirt is imperative! Cycling jerseys generally have a sleek fit so size up if you would like a more relaxed fit. The Tech Tshirt is going to have the fit of a semi-fitted tshirt. These shirts are made of high-quality technical fabric. Still have questions? Email Shana at Full Moon Vista Bike & Sport (shana@fullmoonvista.com) with questions about jersey sizing. 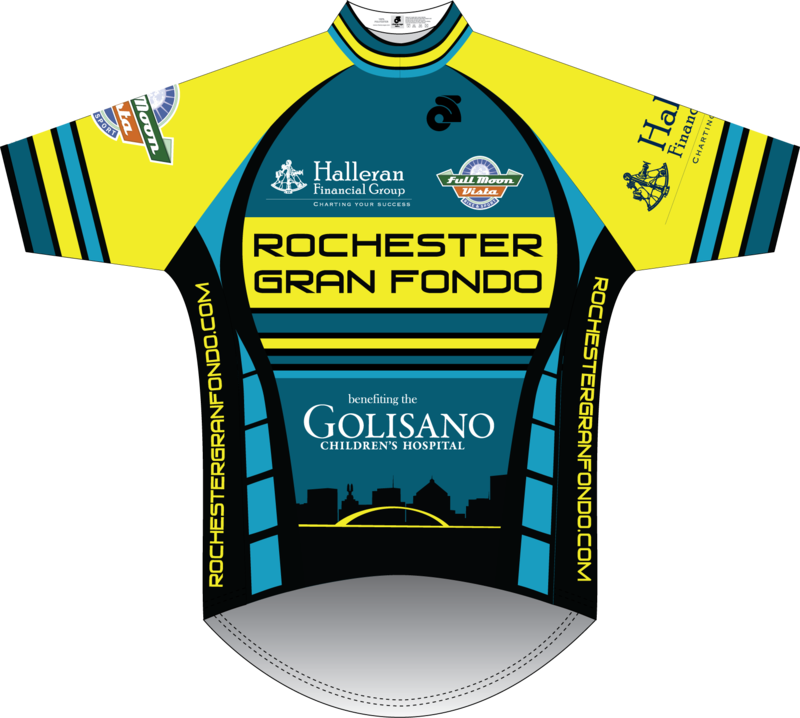 A VIP experience charity ride to support the Golisano Children's Hospital!